Yesterday, we saw a new-born baby walking fast right after being born going viral on social media, people went to call him as the Indian Usain Bolt and some even praised the boy hilariously as the new 4G edition. And today, a video of a five-year-old little boy who has shown immense courage in the face of danger is going viral for all good reasons. Yes, bravery comes in all shapes and sizes and often we hear big feats achieved by small children and it eventually leads us to wonder about the courage, valor and bravery that they must have shown in the face of danger. 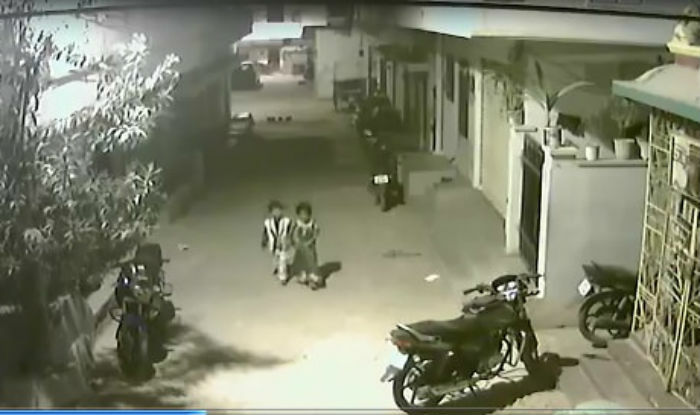 Proving the same thing, a five-year-old boy single-handedly let down an attack by a pack of dogs in Hyderabad on Saturday night. 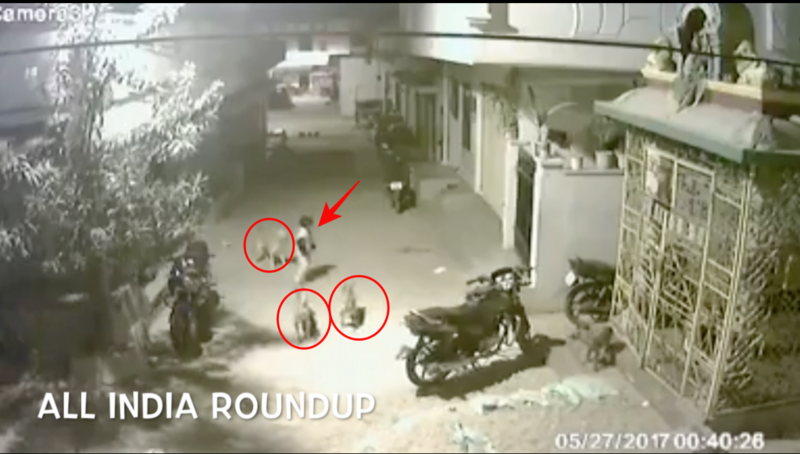 A CCTV camera has captured the moment at a nearby house bore the testimony to the little boy’s immense courage who tried to save himself from three dangerous dogs. Many of us get scared of a barking dog and if there is a pack of menacing dogs advancing upon us then there would be hardly anyone who would not like to turn tail and run helter-skelter. However, the little boy did not run away but took on the pack of dogs fearlessly. 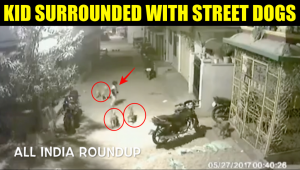 In the video, we can see a pack of dogs that are sleeping on the road wakeup as the children approaches and try to attack the children. The small girl gets scared and runs away funnily while the small boy stands on his ground like Baahubali and tries to defend himself. He raises his hands in to make a threatening gesture and manages to force the dogs’ retreat. But as soon as his back is turned another dog tries to attack from a different direction and forces him to stop. This kid proves the same with his bravery and stands as the Superhero!